Skin Care In Your 30s –5+ Tips to keep a youthful glow! Skin Care In Your 30s – 5+ Tips to keep a youthful glow! 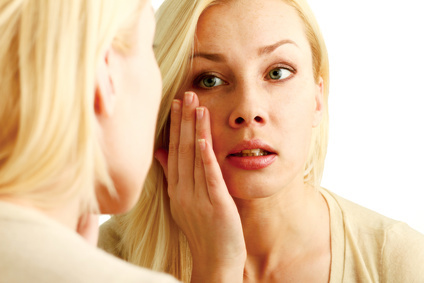 Skin care in your 30s may need a bit of an adjustment when it comes to cleansing, exfoliation, and moisturizing. As we age, we all usually find our skin becomes more sensitive and dryer. It’s important to cleanse properly with a non-stripping ph balanced face wash. Maintaining moisture in our skin’ delicate natural barrier will protect from dryness and wrinkles from settling in. Look for a gentle cleanser with moisturizing ingredients such as coconut oil, olive oil, jojoba esters, and aloe. Ingredients that provide intense hydration will help keep your complexion looking and feeling soft and supple and help sustain moisture from escaping. If you generally cleanse your face in the morning and are not in the habit of exfoliating before bed, it may be helpful to switch your routine to ensure your skin gets the best chance to renew and enhance itself. Removing makeup, dirt, and dead skin allows better penetration for your anti aging products to work overnite and encourage normal cell turnover. Include a facial scrub, enzyme peels, and nourishing face masques to help assist in accelerating the cell renewal process and stimulating collagen synthesis. Exfoliating is the quickest way to see results and a simple solution to uncover a smoother, more radiant complexion. You also may need to re-evaluate your skin type- Using the proper tools and anti aging products suited to your personal type is important for successful results. More important than ever, it’s a good time to kick smoking and make healthier choices. If tanning is important to you, you may want to find another safer alternative to achieve a tanned glow rather than increase the dangers to your skin with harmful sun exposure. There are many improved self tanners and bronzers out there for selection. Always remember the sun’ UVA rays has been known to be a major threat in skin aging (photoaging) so applying a broad-spectrum sunscreen is a “Must” everyday. Exfoliation improves skin’ texture, smoothes, and brightens a dull complexion. Regular exfoliation is important since our skin regeneration slows down causing our complexion to become dull with uneven skin tones. Cell turnover will help uncover a fresher, younger-looking complexion. You will notice an almost instant brightening. There are many methods of exfoliating from manual (fingertips,cloth…) or using one of the many tools available (oscillating brush devices) together with your favorite facial scrub. You can even take it a step further and incorporate professional microdermabrasion and chemical peel treatments to boost results. Getting rid of the dead buildup will also allow your other antiaging products to better penetrate into your skin and makeup will go on smoother. Exfoliation is also the perfect solution to minimize the look of large pores, help reduce acne breakouts and stimulate blood flow. Remember to include your neck and décolleté, avoiding the delicate area around the eyes. By the age of 30 most people begin to notice fine lines and wrinkles due to the fact our natural collagen and elastin declines. Incorporating proven products into your regimen that have good supporting ingredients to help enhance/build protein will help plump up skin and decrease wrinkle formation and depth. Restoring your elasticity will also tighten and improve firmness. Look for product formulas that include ingredients such as hyaluronic acid, multi-peptides, coQ10, vitamin C & E, retinal, and many other high potent active nutrients. Damage buildup from too much sun exposure may be showing up as spots, mottled pigmentation, or uneven discolorations. A large variety of products are available to zero in on reducing excess pigment, fading dark patches and redness. You can personalize your own regime by selecting individual products to suit your own specific needs or choose the many youth cocktail formulas that include ingredients that ward off free radicals and provide numerous renewal properties in “all in one” serums. Skin care in your 30s- moisturize, Moisturize, MOISTURIZE! Loss of our natural oil production is another change as we age often leading to increased dryness. Moisturizers can instantly refresh a complexion and supply numerous benefits for all ages and skin types. Your best tool to keep your skin hydrated is a moisturizer that’s loaded with antioxidants. Everyday, we are faced with many factors that rob the moisture out of our skin. To help protect and repair your skin as we age, use a high quality moisturizer every day to help provide nourishment back in. Replenishing moisture to your skin will also help reduce the appearance of pre-mature lines and wrinkles and maintain skin health and elasticity. Ingredients such as alpha hydroxy acids, urea, and glycerin actually help draw moisture from the air while blended rich emollients help smooth the look and feel of rough and wrinkled skin. Skin care in your 30s and beyond- Continue to pamper your skin!